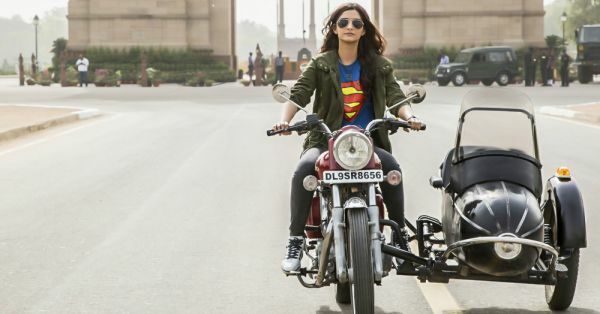 17 Signs You’re No Less Than A Superwoman! Dear ladies, do you think Superwoman is just a fictional character and doesn’t exist in real life? Well, think again. You might be one too!! Don’t believe us? Hah! Here we give you 17 signs that prove you’re no less than a Superwoman! Because life's too short to not know things that matter the most! ‘Coz you know that your looks don’t define you, your golden heart does! And you’re immensely grateful to have all those wonderful people you call your family and friends in your life. You accept people the way they are. Plus you don’t like being judged by others either! ‘Coz maybe you aren’t all sugar and spice and all things nice, but life is precious, and you ain’t got time for stuff like that, do you?! ‘Coz you know you need that beauty sleep and that peace of mind to run the world! Well, because it’s important to lend an ear to someone who needs care and attention. Also read: 9 Simple Ways To Feel More Confident – Every Single Day! No wonder your friends come rushing to you when they need some life-saving advice! 9. You have total control over your emotions. And this is one of your most important superpowers. 10. You are a dreamer AND a doer! Nothing in the world can stop you from turning those dreams into reality! Because you know the difference that a little encouragement can make to their lives. And you are smart enough to analyse the outcome before walking down those risky lanes! Ouch, yes, it hurts. But you pick up those broken pieces of your heart and deal with it all - like a boss! And learn something from each one of them. Also read: 11 Things Confident Girls Say To Themselves Every Day! ‘Coz you’re one smart girl and you know we only live once, right? But you don’t let them dull your shine!